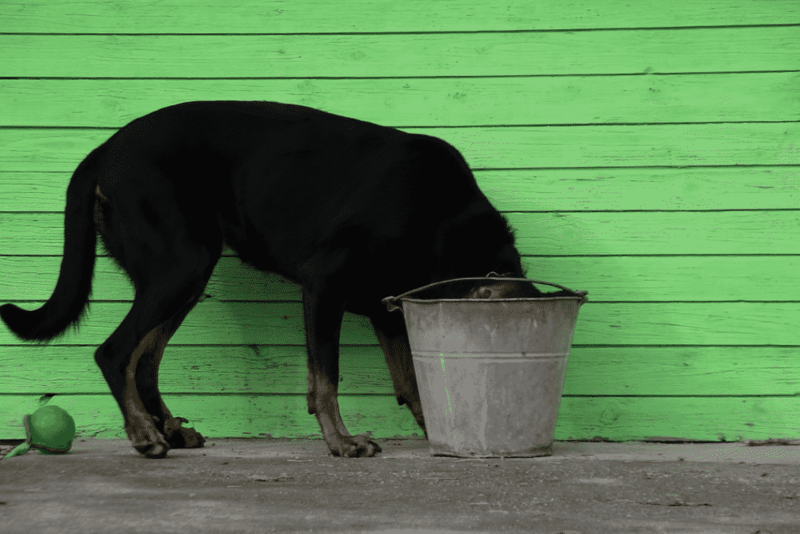 Excessive urination and excessive drinking, also called polyuria and polydipsia respectively, are relatively common clinical signs in dogs that often come as a pair. There are multiple possible causes for these two signs, and if you notice either or both of them in your dog, it’s important that you visit your vet so that it can be investigated further. electrolyte imbalances in the body. Some endocrine diseases (i.e. diseases that are due to a hormonal dysfunction) that can cause polyuria and polydipsia in dogs are diabetes, Cushing’s disease (hyperadrenocorticism) and Addison’s disease (hypoadrenocorticism). There are blood and urine tests that your vet can carry out to try to establish whether or not your dog has one of these conditions. One of the other electrolyte imbalances that can cause your dog to drink and urinate more is hypercalcaemia, which is when there is too much calcium in the blood which causes damage to the kidneys. This can happen for different reasons, including as an effect of some cancers, which is one reason why it’s important to investigate if you notice this problem in your pet. Another cause of polyuria and polydipsia that it is important to know (especially if you own a female dog that has not been neutered) is pyometra, which is an infection of the uterus that usually occurs 2 to 12 weeks following a season and can be life-threatening if left untreated. If your dog needs to urinate more frequently than before, you might notice that they start to have accidents in the house, or in other places where they wouldn’t normally choose to urinate. 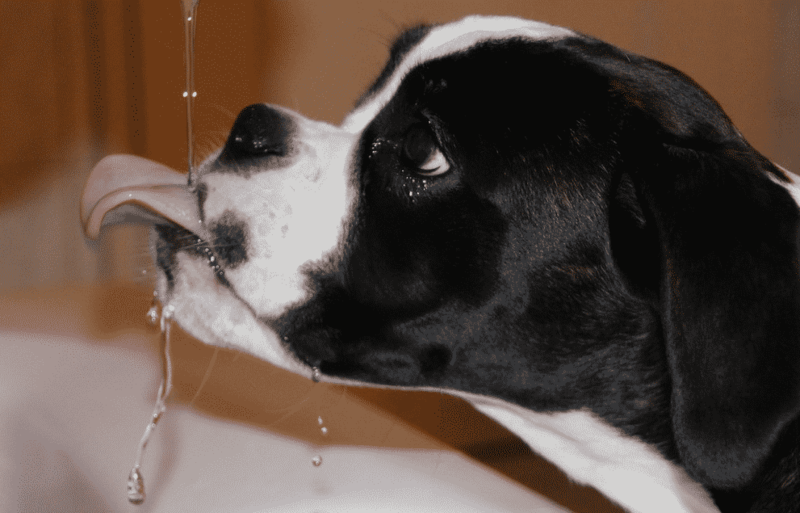 One way to check whether your dog is drinking more than expected is to measure water intake. When calculating this is is easiest if there is a single water source available for your pup to ensure you can accurately measure their intake. A normal dog will drink around 50ml per kilogram of bodyweight in a day, i.e. a 20kg dog should drink 1000ml (1 litre) in 24 hours. If your dog is drinking more than this, then you should start to suspect polydipsia, unless it’s a hot day or your pup has been very active. If the water intake is double the normal amount (so 100ml per kg in 24 hours) or more, then there is definitely something abnormal going on that needs to be investigated. If you notice polyuria and/or polydipsia in your dog, it is important that you take your dog to the vet for a check-up. If you can, try to bring in a urine sample in a clean container as analysis of the urine is the first diagnostic step in most cases. If the urinalysis identifies the cause, your vet can start treatment or recommend more specific tests needed for a diagnosis.